A super team this one! I was told " neither one could do it without the other." They say: more restrictions make it harder to do what we do. 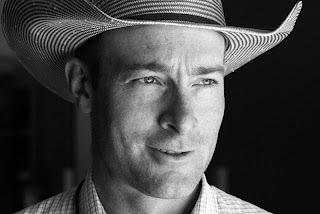 Growth around the ranch has made us change our operations." 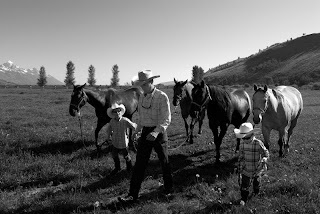 The 280 acres of this historic ranch has recently gone from being a dude ranch to a guest ranch. You dudes know the difference? Well, dudes have horses to ride, guests do not. This change I imagine was predicated by many things but the very active bike trails throughout the forest near the ranch had a significant impact. Still, a guest ranch is no picnic. Above the pool pump has sprung a leak. "The work is never ending." 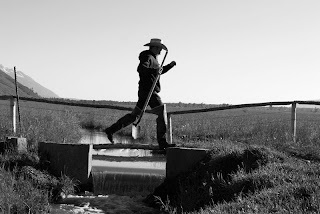 - A.M.
" Getting enough water in the ditches is a challenge. We have a few borrowers along the way. 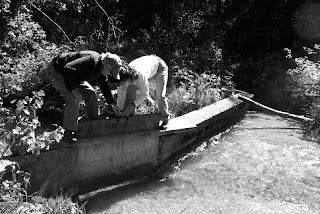 Water has ALWAYS been a challenge" - M.S. "The public doesn not understand the work involved - from dragging the fields at the perfect time to maintaining the fence lines. 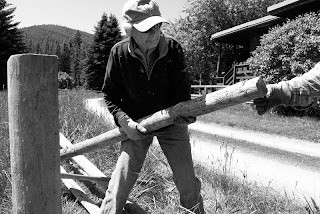 It is never ending; if you mend one fence, it is time to drag the ditches. 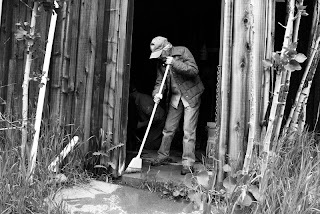 Once the ditches are cleaned it is time to spray the weeds." 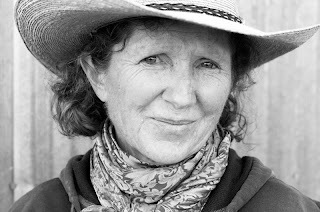 " This land is not just about wildlife, it is about agriculture. We value wildlife movement and the productivity of the land. That is the way it was in this whole valley. We are trying to preserve a way of life." -C.A. 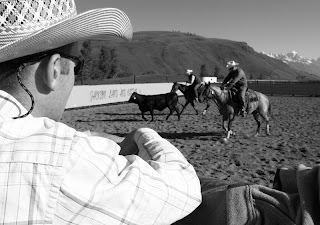 The operation on this ranch is aimed at promoting American Quarter Horses, specifically roping and cutting horses. The land is grazed by both the roping cows as well as lease grazed. The land remains green and cattle covered with this young manager's guidance.
" We are a young staff, a bunch of kids just trying to take this land back to the old ways. We have new ideas on how to keep this place going." - C. A. "Sometimes you just gotta take care of things." -C.A.
" 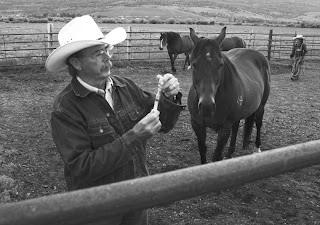 I want my ids to grow up understanding the ties between life and business and to grow up around ranching. 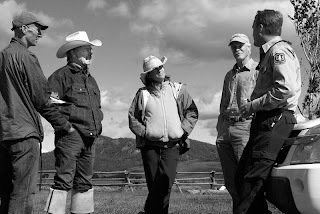 Ranchers are good moral people who value doing what is right, sun up to sun down." - C.A. 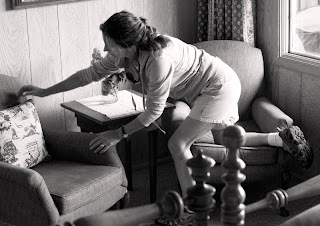 "When I came from Virginia some 35 years ago, I was enthralled with the wild ranch scene. 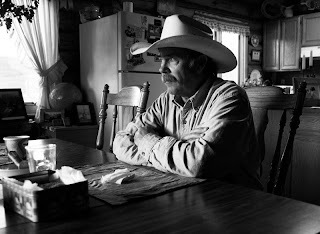 While there are no longer big drives, there are still cattle and horses working on this land, which is a great thing, a great way to preserve a way of life. We live this life because it is part of the west. We still get pretty emotional about it. " - J.Y. Land Trust easements are monitored regularly. Here the manager meets with US Forest Service reps as well as two from JHLT. "With irrigation we sustain wetlands. It is amazing to hear the frogs kick in with the water and see the geese, cranes, killdeer and curlews utilizing the wetlands." - C.Y. Irrigation must be done everyday until haying begins. Teamwork to put in a new fence. The following is the introduction to the project I recently shot. Images will follow over the next several days. 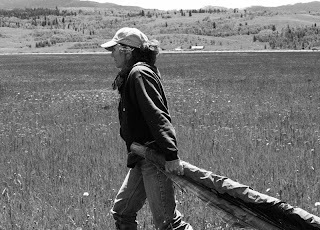 Jackson Hole Land Trust set out to document the people behind the areas iconic conservation easement protected lands that still remain in agricultural production. 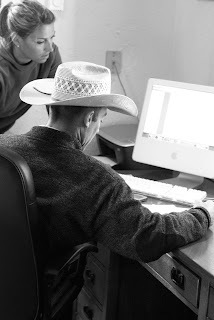 Specifically, the ranch managers, the unsung heroes of the valleys’ horse and cattle operations who labor sun up to sun down to keep the fields green, the ditches flowing, the fences mended, the hay cut and the animals fed. 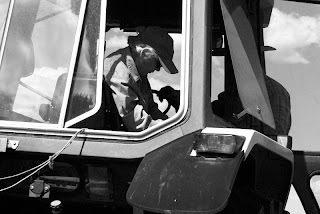 These are the men and women for whom agricultural tradition is not just a fleeting memory, but an everyday gesture. 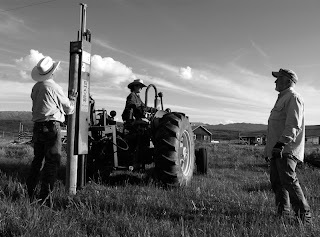 In their work-gloved hands rests the maintenance of some of the last vestiges of ranching culture in the area. 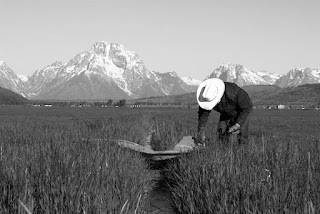 In the process of this project we discovered what drives these individuals and how little public awareness there is about the amount of work that goes into these open pastures and livestock bedecked vistas, still characteristic of Jackson Hole despite the march of modern time. 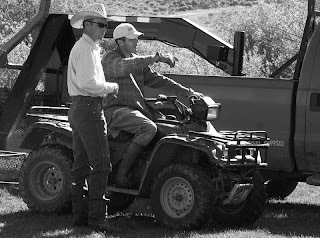 Ranching is loved for the lifestyle it provides, and certainly not what the hourly wage works out to be. The real paycheck comes in the form of in healthy land and healthy animals and the opportunity to see the sun rise more often than not. but not because I have not been taking pictures. 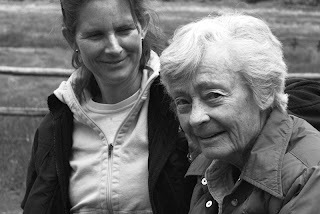 We have been back in JH just over 2 weeks and I have been working on a wonderful project for Jackson Hole Land Trust almost that entire time. I will post some pics from this project soon so please check in again soon.